Given its solid track record, boxing remains tops in the priority list of sports that stands to receive the full support from the Manny V. Pangilinan Sports Foundation, a private group that never tires of lending a hand to the country’s quest to end its hunt for an Olympic gold medal. 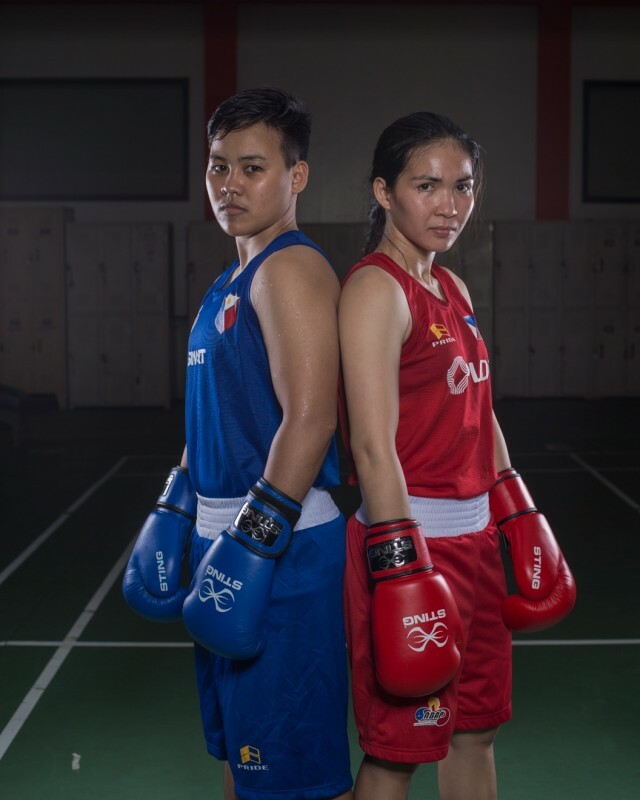 Boxing accounts for five of the Philippines’ 10 Olympic medals, including the silvers brought home by Anthony Villanueva in 1964 (Tokyo) and Onyok Velasco in 1996 (Atlanta). Despite the inability to strike gold so far, the leadership of the Association of Boxing Alliances of the Philippines (Abap) remains committed to its vow of helping the boxers go for gold with an eye at winning one in Tokyo in 2020. Abap executive director Ed Picson, who has solid boxing links, having worked as commentator of the boxing program Blow-by-Blow, the TV show that launched Manny Paquiao’s professional career, maintains that Pangilinan is not turning his back on the sport that gives the Philippines high hopes of winning an Olympic gold. There were apprehensions that Pangilinan, acknowledged as the country’s premier sports patron, would withdraw support after falling short in the 2016 Rio Olympics. But Picson insists that such won't be the case as his boss is not the type to renege on a sacred vow. “The support will go on,” said Picson, who runs the day-to-day operations of the Abap from its training headquarters at the Rizal Memorial Sports Complex. While the Abap also gets financial assistance from the Philippine Sports Commission, being a legitimate NSA of good standing, Picson bares that the association is not totally dependent on government support to operate with Ricky Vargas pulling all the stops. “We get funding from Mr. Pangilinan by way of Mr. Vargas, who has made it sure that the Abap gets a portion from Maynilad,” he said. Unlike other NSAs, whose sole existence largely depends on dole-outs from the PSC, the Abap is run in a different manner. Pangilinan’s helping hand also consists of own cash rewards to boxers who perform well in foreign tournaments. Apart from the mandatory reward from the government, Mr. Pangilinan also digs deep into his own pocket to reward those who bring honor to the country. “We also have our own financial scheme for winning boxers,” said Picson. Among those who have benefitted from Pangilinan’s willingness to share his blessings is Mark Anthony Barriga, the country’s lone bet in the 2012 London Olympics, Felix Eumir Marcial and rising stars Ian Clark Bautista and Mario Fernandez. “It’s fortunate that we have somebody like Mr. Vargas,” said Picson, whose staff also includes a potent coaching staff manned by former national team standouts Pat Gaspi, Romeo Brin, Roel Velasco and Ronald Chavez and the wily tactician Nolito ‘Boy’ Velasco. Roel is the most accomplished as he also took a silver during the 1997 world championships. They are all joined by a team of sports science experts composed of dietitians, psychologists, fitness coaches and consultants, Picson said, making the Abap the most efficiently-ran NSA in the country next to basketball, its sister NSA. And that’s not all, Picson points out. The last seven years, the Abap has also recruited or sought the help of foreign coaches. First to be tapped was Kevin Smith of Ireland a few years ago and also signed Chris Cain of England before settling with Nonito Donaire Sr., father of ex-world champion Nonito Jr.
Pangilinan’s show of support to sports is legendary as shown by his role as the big boss of basketball and staunch believer in the skills of athletes from taekwondo, football, volleyball, badminton, weightlifting and golf, among many others. While the basketball team known as Gilas circled the globe to toughen up, the same thing happened to Abap, whose foreign stints included appearances all over the US, China, Kazakhstan, Vietnam, Uzbekistan, India, Thailand, Indonesia, Russia, Iran, Barbados, Italy, Qatar, Mongolia, Australia, Turkey, Hong Kong, Finland, Taiwan, Azerbaijan, Malaysia, England and Wales, apart from its Olympic participation. 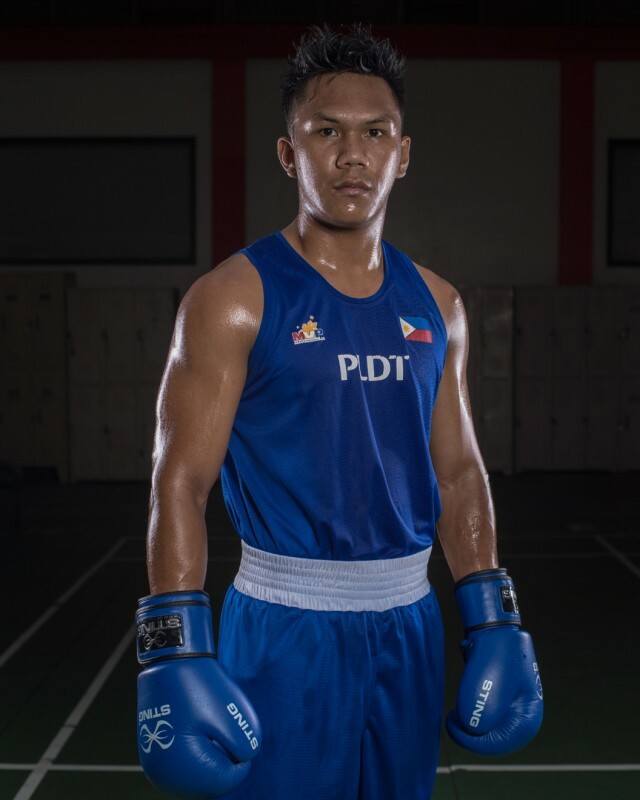 With Pangilinan and his MVPSF behind the Abap every step of the way, the country produced top amateur fighters in Charly Suarez, Mark Anthony Barriga and Rogen Ladon, making it all the way to the Olympics, where the best of the best gather and compete for the ultimate prize in sports. 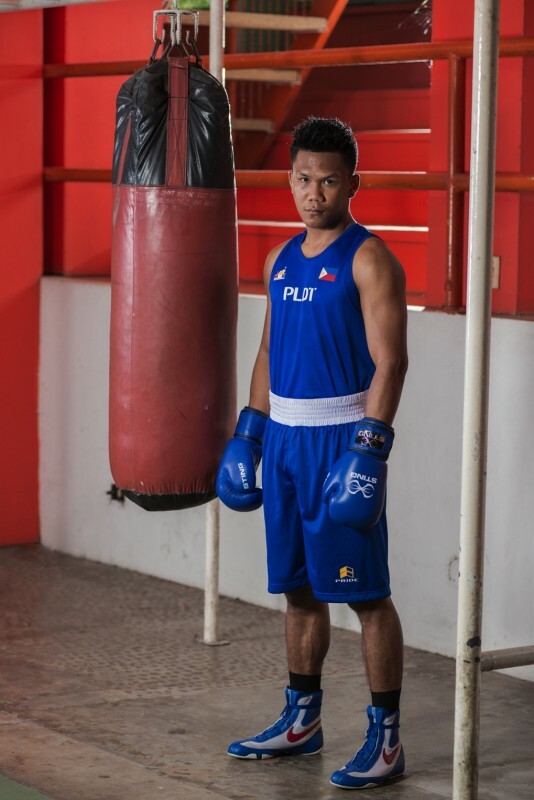 Aside from the trio, others who sparkled that have all what it takes to carry the fight in the years to come are 2011 world junior champion Felix Eumir Marcial and a pair of lighter weight bets in Ian Clark Bautista and Mario Fernandez. Owing to the MVPSF’s sense of patriotism and nationalism, fighters like Suarez have blossomed into world-beaters and regarded as major players in their respective weight classes. Suarez, a native of Asuncion, Davao del Norte, appears to be the guy who’s benefitted mostly from Pangilinan and the entire Abap family headed by Ricky Vargas. MVP’s concerns go beyond the four corners of the ring, notes Suarez, who carried the Philippine flag in Rio. “Whenever we sustain injuries, he takes care of our medical needs,” said Suarez, whose other highlights under MVP was his being tapped to see action in the World Series of Boxing (WSB) and AIBA Pro, a testament to his lofty world ranking. During his WSB days, Suarez fought extensively in Milan for the Italia Thunder where he became a fan favorite owing to his aggressive, all-action style aside from being a part of the Mumbai Fighters early on. In one of his many fights with the WSB, Suarez locked horns with Vasyl Lomachenko, the Ukrainian master who is being projected to become boxing’s flag-carrier. 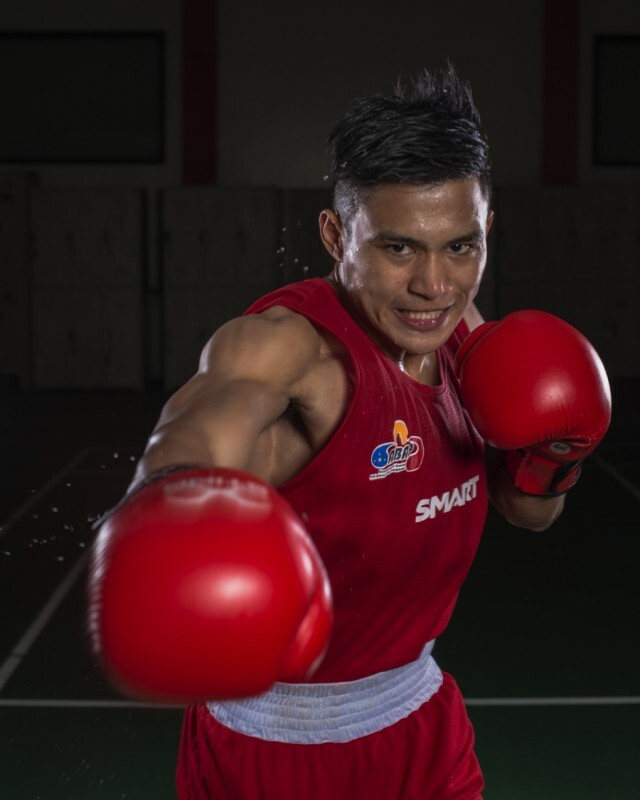 An only child, Suarez began boxing at an early age—seven years old—and made it to the national team after a stellar performance during the 2003 National Open in Tagbilaran, Bohol. Other than these credentials, Suarez also took silver in the 2014 Asian Games, another silver during the Presidents Cup in Kazakhstan also during that year and a two-time Southeast Asian Games champion (in 2009 in Laos and 2011 in Indonesia). Ladon, 23, born and raised in Bago City, Negros Occidental, also echoes teammate Suarez’s sentiments about Pangilinan and the Abap’s inner circle. “I can’t say anything less. They take care of all our needs in boxing and even outside of boxing,” said Ladon, who also fought in the Rio Olympics like Suarez. A seven-year mainstay of the national team, Ladon says his finest moment so far was his being a part of the delegation to the Olympics in Brazil but maintains that his ultimate goal is to get another chance at redemption in Tokyo. 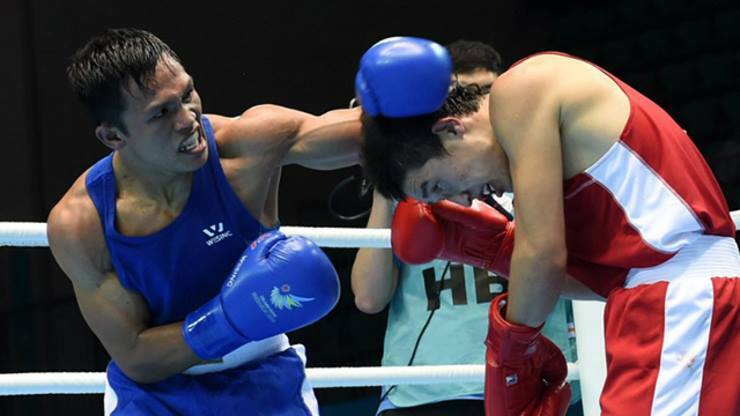 “I want to get another chance to prove my point,” said Ladon, who made a first-round exit after being upset by Yuberjen Martinez of Colombia, the eventual silver medalist in Rio. Still, being a part of the Abap’s elite squad likewise provides fighters like him the enviable chance of travelling the world for free. “Because of my being part of the Abap national team, I got the opportunity to see so many different places,” said Ladon. Ladon has been to so many countries that he has lost track of the number of times he’s gone abroad to fight. “I can no longer count,” said Ladon, who is being groomed to beef up future teams overseas alongside other rising stars in Bautista, Fernandez and Marcial. Ladon used to be the backup of Barriga and got his opportunity when Barriga sustained an injury that kept him out of the Rio qualifiers. In 2015, the Asian Boxing Confederation named him as Discovery of the Year following his third-pace finish in Doha. On his way to the semifinals, Ladon shamed top seed Mexican Joselito Velazquez via a lopsided decision before Manny Pacquiao, who sat at ringside as special guest of ABA big boss Ching Kuo Wu. But before these guys began taking over, the Abap also utilized those from the previous administration. During its early years, the Pangilinan-powered Abap also adopted the likes of Harry Tanamor and Joan Tipon, both providing shining moments before riding into the sunset. In the 2009 King’s Cup in Bangkok, the first tournament the new Abap leadership participated in, Genebert Basadre, Gerson Nietes, Joegin Ladon and Gerson Nietes went home with medals. 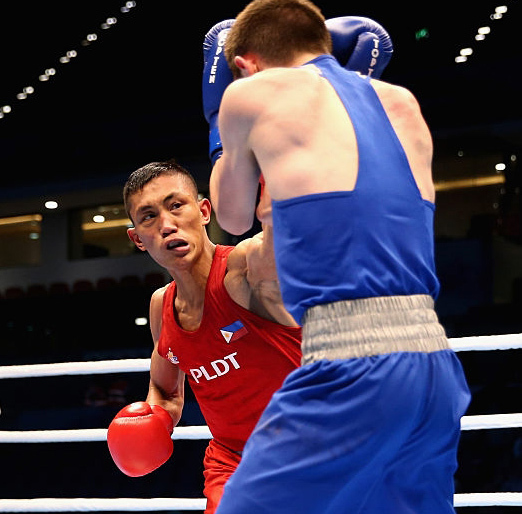 Also during that year, five gold medals were won by the men and women’s boxing squads in the 2009 Seag in Vietnam, featuring old hand Tanamor, who settled for the silver. The gold winners were Bill Vicera, Suarez, Josie Gabuco, Alice Kate Aparri and Annie Albania. The following year also marked the first time the new Abap hosted a multi-nation slugfest, featuring medal hopefuls to the Guangzhou Asian Games. The participants in the MVP Cup, which took place June 14-19, include Suarez (gold), Joegin Ladon (gold), Delfin Boholst (gold), Gabuco (gold), Appari (gold), Albania (gold), Analisa Cruz (gold), Nesthy Petecio (gold), Victorio Saludar (silver), Glicerio Catolico III (silver), Nietes (silver), Jimmy Vallares (silver), Noemi Tacda (silver), Vicera (bronze), Rey Saludar (bronze), Recky Duay (bronze), Rolando Tacuyan (bronze), Jameboy Vicera (bronze) and Wilfredo Lopez (bronze). Not only did the fighters enjoy being under the Abap’s wings. Even officials, referees, judges and technical staff, were rewarded for their sacrifices as the association enhanced its relations with the governing AIBA. Vargas also earned the respect of the AIBA when he got appointed as a key officer of the Asian boxing community and the respected Philippine Sportswriters Association voted him as Executive of the Year for 2011, the year the Abap was selected as the NSA of that year. Karina Picson, wife of Ed, is a part of the influential Women’s Committee of the AIBA and a regular attendee of local tournaments across the country and on foreign soil, enduring the heat of the local venues from sunup to sundown and making sure a tournament runs without missing a beat. Even Filipino referees and judges were upgraded as they all got full support from the Abap. Dante de Castro was promoted to a 3-star referee, while Jesus Esteban Jr. and Darcito Teodoro also stepped up and Rogelio Fortaleza, a known fighter during the 1970s, was also a recipient of an upgrade. The ABAP was originally known as the Amateur Boxing Association of the Philippines but when Pangilinan took over following the 2008 Beijing Olympics, the new set of officials changed the name in line with its globalization. Established in 1977, the Abap had always been a source of talent and medals in foreign meets. Even members of the current coaching staff are made up of former fighters from the old Abap that was once the domain of Roilo Golez and the father and son tandem of Mel and Manny Lopez. During the Lopez’s heyday, Olympic medals were brought home by light-flyweight Leopoldo Serantes from Seoul (1988), Roel Velasco from Barcelona (1992) and Onyok Velasco from Atlanta (1992). Before Onyok’s breath-taking and landmark performance, the national team punched its way to three gold medals in the 1994 Hiroshima Asian Games with Velasco topping the light-fly class, Elias Recaido the fly and Reynaldo Galido the light-welter. Before Serantes paved the way for more successes, the Philippines’ first silver came in 1964 courtesy of Villanueva. Before that, Cely Villanueva, Anthony’s father, claimed the bronze during the Los Angeles Games of 1932. Even those who made it big in the professional ranks were Abap products, most notably the fighters that came from the stable of Tony Aldeguer of Cebu. During the 1980s, Cebu was the major producer of national team stars and Aldeguer’s boxing factory spawned the likes of Edito ‘Ala’ Villamor and even Gerry Penalosa, who became a two-division world titleholder. It is for this reason that the Abap is also continuously touring the countryside in search of talent, fighters who are willing to remain under its care until their last fighting days. Picson, with blessings from Pangilinan and Vargas, have been going to the provinces all-year long, to the far-flung areas of the Visayas and Mindanao, in the hopes of finding the next big star. 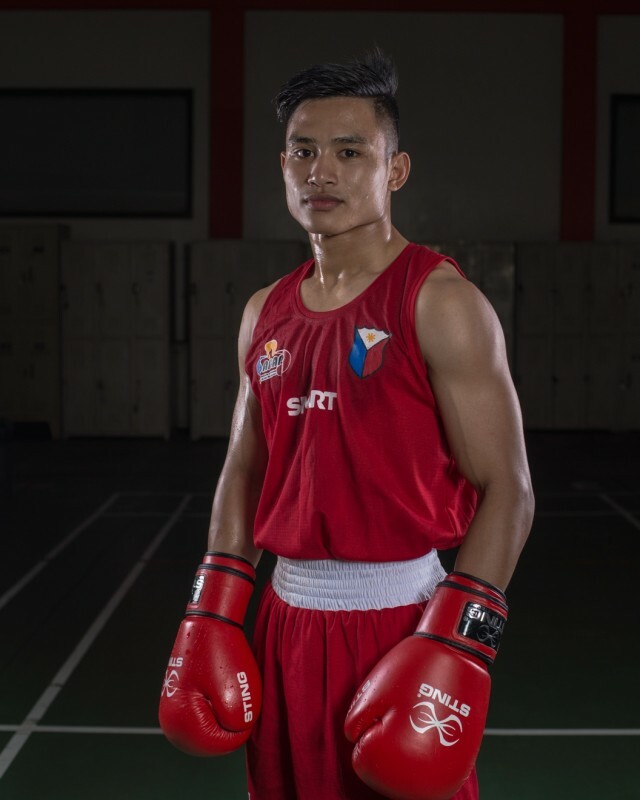 “Our ultimate target is the Olympics and we will not waste time in finding those who have what it takes to win the Olympic gold medal,” said Picson, who is upbeat that the current batch will be ripe and ready to rumble when Tokyo beckons. Through the years, Picson has reached out even to Aldeguer, who now operates a farm meant for professional usage since Aldeguer runs a regular boxing show in partnership with a giant TV network. True to his word, Picson staged tournaments in Zambales, Maasin (Southern Leyte), Panabo, General Santos City and Negros apart from making sure he doesn’t miss going to regional meet and national finals of the Batang Pinoy and the Palarong Pambansa, where pure talent can be identified. Of course, the fruits of hardship are evidenced by the growing number of national pool members that make the Teacher’s Camp in Baguio City as the main hub for their international buildup. Just recently, five fighters were dispatched to St. Petersburg in Russia to see action in the World Youth Championships. Carlo Paalam was the lone survivor during the run-up to the medal rounds and was awarded a bronze in the light-fly division, proof that the Abap is doing pretty solid in its discovery of new blood. Picson even boasts that the Abap is heavy with talent that it is not at all bothered that tournaments are separated from each other by just weeks. “We can come up with two top teams,” said Picson, confident that even the mainstays of the Class A will have serious problems dealing with members of the Class B for spots in teams bound even for the world championships. But above all, the Abap is a proponent for safety. Since taking over from the past administration, Picson says they haven’t experienced a death in the ring in all their sanctioned tournaments. While there was an incident a few years ago, Picson insists that it wasn’t an Abap-staged event. “The tournament also used a few Abap referees but it wasn’t ours,” he said. Safety is of paramount importance to the Abap that Picson can’t help but shake his head whenever he sees a mismatch especially involving an up-and-comer. Picson is concerned about safety that he is ready to oppose moves to invite just about everyone to fight in national tournaments. “You can invite athletes you don’t even know in other sports, but not in a combat sport like boxing. People get hurt in this sport,” he said. In the 2016 Batang Pinoy national championships held in Tagum, Davao del Norte, an ambulance was neatly parked at the Trade Center just in case something happens. “That’s the last thing we’d like to see in a competition involving kids,” said Picson, stressing that their referees are always on the lookout for the slightest sign of pain involving the young ones. Towards the end of 2016, the Abap had a pool of 28 men and 12 women punchers under its care but the number can go up to a high of 48 once the staff completes its legwork. “We are scouting for more talent in the Batang Pinoy and the Philippine National Games and are also going to other places,” said Picson. Talent search is a never-ending process and the Abap is confident that all the hard work, patience and sacrifice will bear fruit in 2020. Tokyo looks still light years away but the Abap is setting the stage for a head-turning performance, one that will put a smile on Pangilinan’s face and most importantly, one that will finally soothe the pain of a hundred years of desolation.